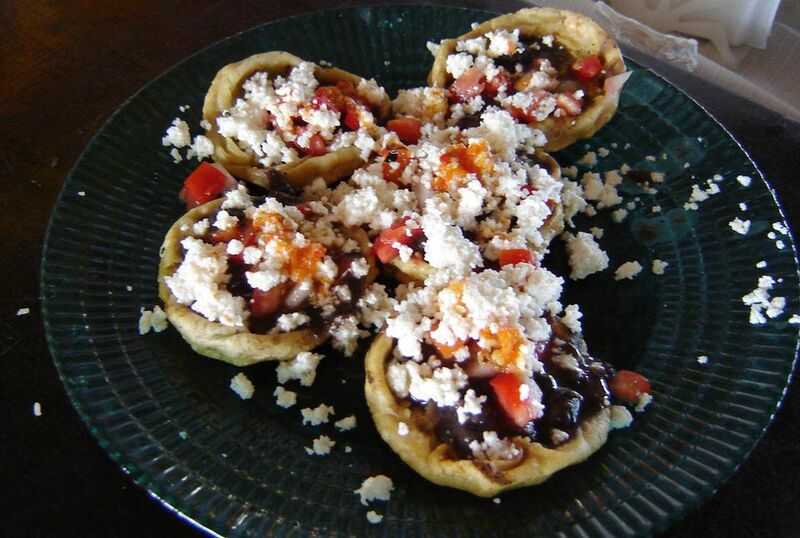 These sopes are fried masa cakes and they are delicious topped with savory meats and veggies. Sopes make a great appetizer because of their small size. Make them extra small and add minimal toppings for a perfect finger food. Or make sopes your main dish by topping them high with large chunks of cooked meats and veggies. Fry in a 1/4 inch of hot oil on both sides until lightly golden brown and cooked through.